How cute is she! Your baby girl will love this comfortable 2pc Holiday Pant Set by Rare Editions! 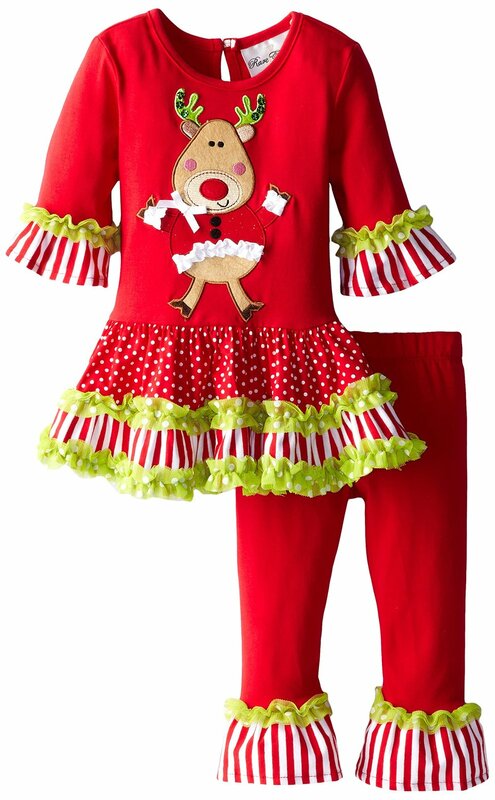 Infant girls Christmas Legging Set features an adorable dancing reindeer applique, stripe flared hem detailing and lime trim. Great 2pc legging set for your little girls Holiday Photos!